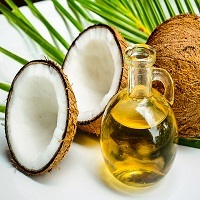 Coconut oil is edible oil which is extracted from the kernel of ripened coconuts. It is used a lot in food, industry and medicine. Since it is a high saturated fat content so it is slow to oxidize which helps it to last for up to two years without being spoilt. The coconut oil prices are increasing day by day which has resulted in adulteration of coconut oil. Traders have said that nearly 70% of the coconut oil traded through unbranded retail link is adulterated. It is adulterated by mixing palm oil or sunflower oil.